Day 1: Down day with a lot of "Twister"
My alarm clock rang at 03.30 a.m. in my apartment in Malmö and I left tired but excited. Had a stop in Düsseldorf and then took an ancient AA plane to Chicago where I bounced on to Oklahoma City. I spent half the flight with head ache and nausea so it was not too pleasant but I watched “Twister” for the hundred time to keep me distracted. Erik Burns (of Tornadic Expeditions) picked me up at the airport and drove me to my hotel. I had a quick nap before we joined up with Dave from Buffalo, NY, the second guest on this tour. We had a great dinner and then Erik showed us the forecast for the week. I have been trying to keep my expectations low for this tour in order to not get disappointed. Despite the fact we were going to start off with a down day (no storms or even thunderstorms in Tornado Alley) the week looks great, according to Erik (and the rest of the storm chasing community). I am still trying to keep my expectations in check. I have seen great outlooks turn to nothing too many times but still… I am excited!! 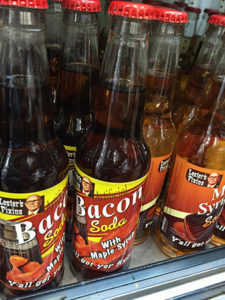 Anyone up for a bacon soda? Our down day was used to travel a bit up north to Kansas since we might go to SW Kansas or NE Colorado on Day 2. 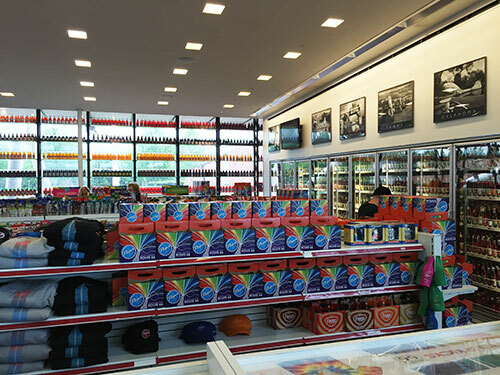 We went to see a local attraction: a superstore for soda pops where they have hundreds of different soda pops. I tried a “Birch beer” and a “Cherry ginger beer”, both soda pops (i.e. not beer) but neither was great. The main attraction was to go to Wakita, OK, where parts of the movie Twister was filmed. This is a very typical place to stop for tour groups but I had never made it here and was positively surprised. 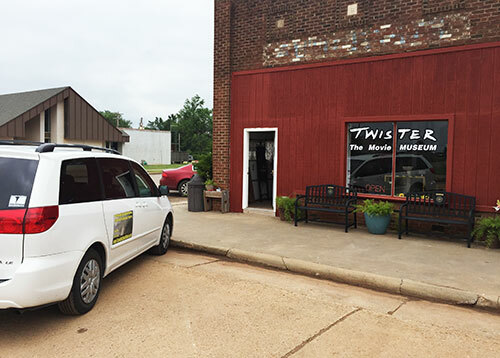 We stopped by the friendly “Twister café” for lunch and then went to the museum. 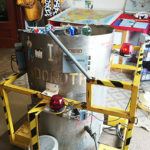 The Twister museum has a bunch of memorabilia from the movie, especially “Dorothy” along with lots of photos from the filming of the movie. 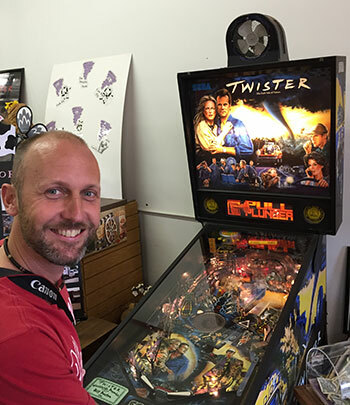 To my great happiness they had a free Twister pinball machine, donated by actor Bill Paxton! I LOVE pinball and had never played this one so I was happy! We continued on to Greensburg, KS, which is another popular stop on down days. Greensburg, KS, was wiped out almost entirely by a major EF5 tornado in 2007. I had been here twice before but what struck me this time was how well they have built up the town again. They have made a huge effort to really build the town Green and have wind mills everywhere along with energy efficient houses etc. It is an amazing display of making a catastrophe into something good. Check out this documentary about it! 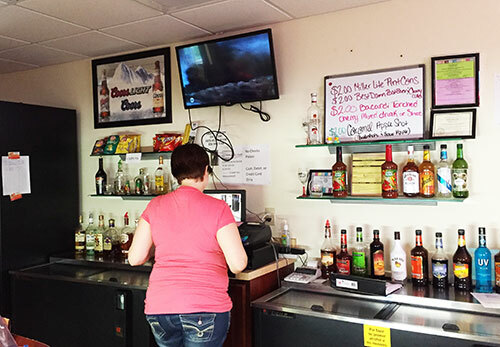 We ended up in Hoisington, KS, around 7 p.m. where we joined up in the bar for a beer, while Twister was playing in the bar – off course! Me and Erik were dissecting the weather “sins” in the movie of which there are plenty. Still, I love that movie! “Everything wrong with Twister” by Cinema Sins.